Dragons wing Tom Prydie is to have knee surgery and could be out for the rest of the season. 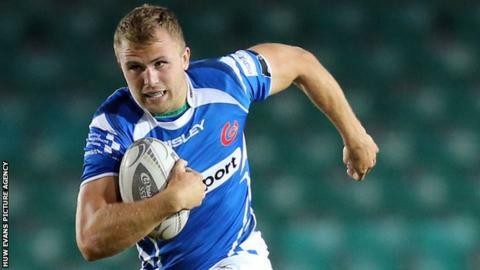 The 23-year-old sustained an injury during the Welsh region's European Rugby Challenge Cup match against Pau on 12 December. The Dragons say the player will be out for "several months". Prydie has played five times for Wales, scoring two tries, but has not appeared in an international since the 23-8 loss to Japan in June 2013. It is a major blow to the Dragons ahead of the derby match against Cardiff Blues on 27 December. Fellow Wales international backs Hallam Amos and Tyler Morgan are long-term injury absentees while Jack Dixon is also out.